Here you will be in the center of all events, cause you have a very important task is to find the data files and find the right way to escape. Are you ready for such a challenge, then do not waste your time and click on different objects to use them. Vanquish this game right now. Are you a good searcher? Then this game is for you! Just imagine that you are a spy for the secret union of mega minds. Your job was to infiltrate the enemies fortress and take their data files. You were able to enter the fortress but once inside you were captured! 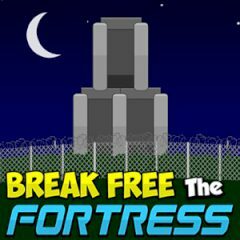 Now you must break free from the fortress. Is everything clear? So, just have faith in yourself and try take all the things that you need. Bu the way, you must pay attention to all details and who knows, maybe you will see some clues? Enjoy the game.